Hello everyone! So today i'll be talking about a product that i've received recently to fight the hot harmful heat wave that has been haunting our skin. I present to you the Body Buddy Aloe Vera Range, that has a cute tag line which says 'your body, best buddy'. Which is pretty much true, cause your body and you are practically un-separatable. And by having your body as your best buddy, we tend to forget to pamper the body, and as a thank you for always being there for us. 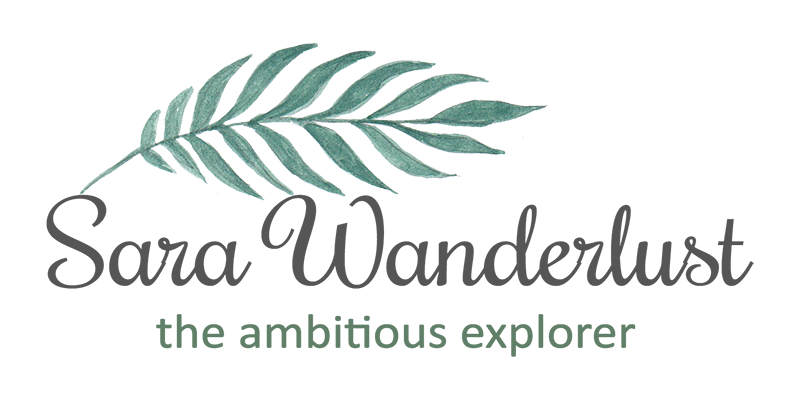 A little introduction on the Body Buddy Aloe Vera Range, it specialises with its 98% extract base of pure aloe vera that has been well known to provide moisture in the form of gel. Aloe Vera has been well known to be the most gentle ingredient to suit any skin type, making it a must-have for days that our skin feels sensitive after a hot day in the sun. The Range has a fair range of variety, but for today, i'll be reviewing more on the ALOEVERA Moisture Real Soothing Gel, the ALOEVERA Moisture Real Soothing Gel Spray and the ALOEVERA Moisture Real Foam Cleansing. So the first product up would be the ALOEVERA Moisture Real Soothing Gel, and from the packaging, you can actually see the Aloe Vera through the transparent tube bottle. I thought it was pretty cool cause you can actually see the condition of the Aloe vera before using it. A plus point would be that since it comes in a tube bottle, it minimizes on unhygienically contact. There are also English instructions on the stating that it can be applied on your body, face and hair. So whenever you need a boost in hydration, the ALOEVERA Moisture Real Soothing Gel would be there for you! 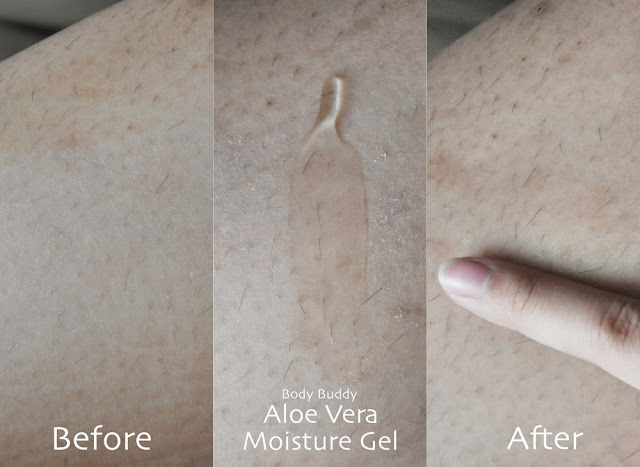 Its really easy to control the amount of the ALOEVERA Moisture Real Soothing Gel with the tube bottle. Upon application, it was actually very cooling and it doesnt leave sticky residue (major plus points) as its easily absorbed by the skin. Not that my hands needed a boost in hydration, but i did manage to try it out on some dry areas to see how 'hydrating' can the gel be. 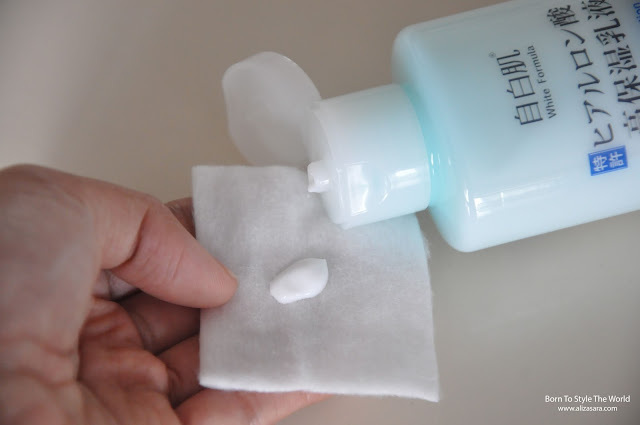 From the image above, i had shared a photo of a before and after impression on my dry skin, and as expected, it hydrates the skin pretty well, making sure there are no dry skin flakes. Next would be the ALOEVERA Moisture Real Cleansing Foam where its used to cleansed the face from dirt and impurities. It doesnt come in a transparent tube bottle, but at least its easy to differentiate the purpose of the range. Even though the instruction says that it can be used over body, face and hair, i personally think that it would be more advisable to use this as a gentle cleanser. And tadaa, i managed to give this cleanser ago, and i was really surprised on how gentle the formula was. I have oily combination skin, so i wasnt exactly expecting much from the product to balance out my oil balance, but to my surprise, it cleanses my skin pretty well! It felt very refreshing too after I rinsed the cleanser off. It foams up really well too! And last but not least would be the ALOEVERA Moisture Real Soothing Gel Mist. 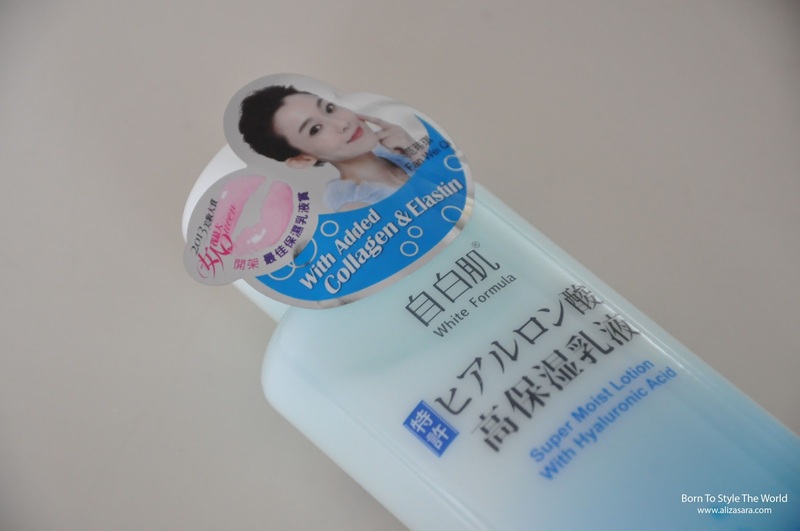 It comes in a spritz transparent bottle, and this might most probably be my favorite product among all! Mist are usually very convenient cause it doesnt require two hands to spritz away. Personally, i love bringing aloe vera mist around, especially when im travelling. When the environment is dry, the soothing gel mist is just a spritz away for a cooling refreshing sensation. I think using this mist can be based to your own creativity, in my case, i'll spritz this bottle of ALOEVERA Moisture Real Soothing Gel Mist almost anywhere! But a personal secret to fix frizzy hair would be to spray some aloe vera on to give it some nutrients to hydrate. Otherwise, you can spray it around your arms, legs, feet, face for a boost in moisture. It's cools the skin without any limitations of ways to use it. As a verdict, i would say that the range and the products to serve their purpose of existence. It effectively soothes the skin from burns, UV rays while providing moisture to the skin. After about a week of using this, i realized that it encourages the skin to regenerate to heal scars. Each product also is sealed tightly to ensure that the content is kept fresh too! Would i repurchase? I'd say its a yes, but if i had to choose just 1 product from the range, i'd get myself the ALOEVERA Moisture Real Soothing Gel Mist, but that doesnt mean that the other products are not as good. With good things in hand, its always better to share the good things in life right? So now, the conditions to my BODY BUDDY GIVEAWAY. All you need to do is : Leave a comment below by telling me why you need to get your hands on the Aloe Vera Gel and Aloe Vera Mask with your Name and Email. And that it, you'll be on your way to win yourself an Aloe Vera Gel (500g) worth RM38.60 and a pack of Aloe Vera Mask (10 pieces) worth RM59.00. So what are you waiting for? Join now as the contest ends on the 7th of May 2016.
and a pack of Aloe Vera Mask (10 pieces) worth RM59.00! And hello again, im back after 2 weeks *plus* of using Physiogel's Calming Relief Face Care Range. Are you excited to find out the results? Im super excited to share you my report tafter 2 weeks, why? Because my skin condition has improved pretty well, s to the Nw Physiogel Calming Relief Range. With work, challenges and struggles that i had to go through throughout the challenge, i'll just share a brief story of how my lifestyle works. I train early in the morning for some fitness sessions, which means i sweat a lot, and later in the morning, i'll usually be running around to settle my assignments and work. (Do take note that im working, while pursuing my masters at the moment) So things can be pretty out of hand at times, and taking care of my skin can be a slight drag when it has over 10 skincare steps to follow. Thankfully Physiogel Calming Relief Face Care Range has a small regime to follow and i have been VERY committed to using just the Physiogel Calming Relief Face Care Range, just to get a taste of the actual results. So, im pretty sure you're ready to find out the results right? So yeap, thats the results after 2 weeks of using the Physiogel Calming Relief Face Care Range. I personally love the fact that the products were really gentle on my skin. 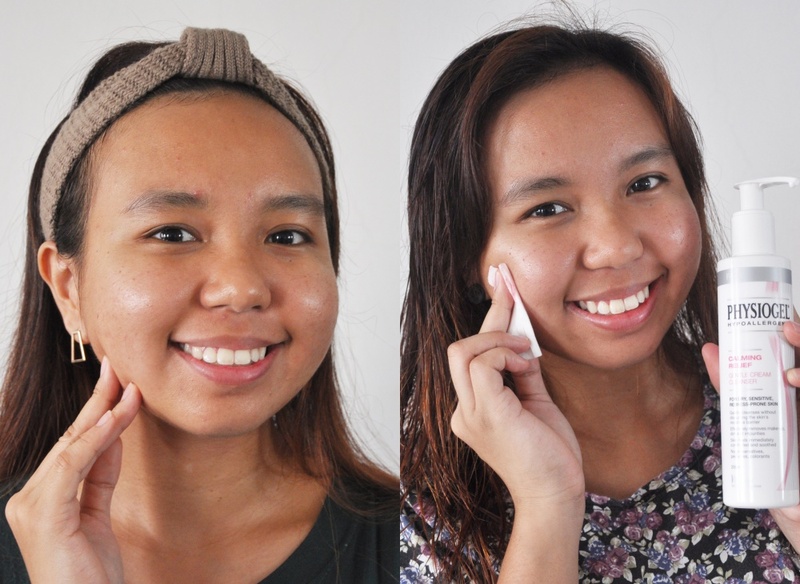 My skin feels very well hydrated and i usually have flakiness on my skin, but now its gone! Another thing would be that i realized that my whiteheads were minimized too! The routine that i did for the past two weeks was that i cleansed and applied the cream once in the morning, and once at night. I believe that after 2 weeks of the challenge, it has strengthened and repairs my skins moisture barrier effortlessly. And for people like me, with constant exposure by UV and environmental pollutions, its really important that my skin gets enough love, and apparently Physiogel Calming Relief Face Care Range was all the love my skin needs. Left : After cleansing with Physiogel // Right: When make up is still being worn. My pimples do still pop up occasionally, so i would like to justify that this product does not treat acne. Although i did realize that less acne popped out, which i believe because my skin was cleaner than usual, thanks to the cleanser. Hehe. I also admit that on lazy days, I'd use the cleanser to double cleanse my make up off too. One time to remove makeup with a cotton pad, and another time while im in the shower. So maybe that played a huge factor in the results too. Loving the gentle formulation of Physiogel. As a verdict, I can confidently say that i agree with the 93% that says that their facial skin redness was reduced. But in my case, i forgot to plan the funeral for my flaky dry skin. hehe. It definitely hydrates, repairs and calms the skin with minimal steps, making it perfect for busy people like me to treat the skin. Thank you so much for following through my 14 Days Challenge with Physiogel Calming relief Face Care Range. If you have use products by Physiogel too, please do not hesitate to share your comments below. 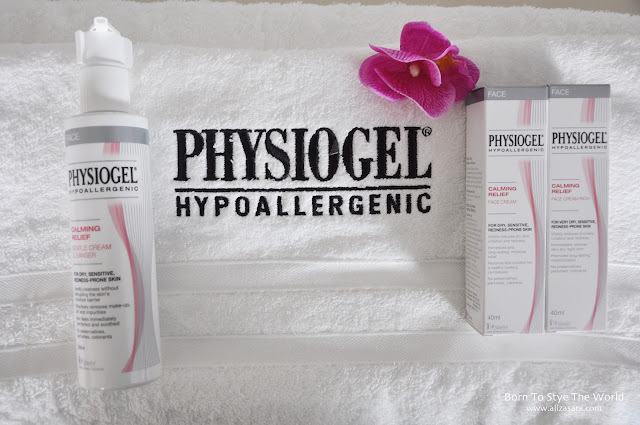 For more information on Physiogel, visit www.physiogel.com to get the latest peeks on their products. If you're updated with my Instagram post for the past years, you'd know that I have a thing for running in marathons. 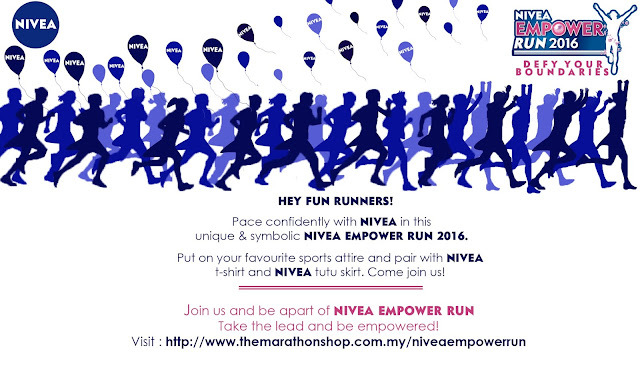 So here in this blog post, I'll be sharing about the Nivea Empower Run 2016 cause i think its really a meaningful event that also features their latest deodorant, NIVEA Pearl & Beauty antiperspirant. The new pearl and beauty antiperspirant. The new NIVEA Pearl & Beauty Deodorant contains the precious pearl extract to nourish the underarms, making it smoother and pearly white! It also provides 48 hours of protection against perspiration and gentle on the skin because it has no harsh chemicals. Thus, to complement the event, NIVEA believes that when you are confident, nothing can stop you from achieving your dreams. NIVEA empowers women by helping them realize the potential in them and encourage others to do the same. Be apart of this run and join NIVEA to help the poor and underserved women as profits will be donated to a charity organization, For Wisdom And Revolutionary Development (FORWARD), an NGO accustomed with helping the underserved community by imparting proper training so that thy can earn a living. Only by making these changes will they be able to free themselves from poverty. 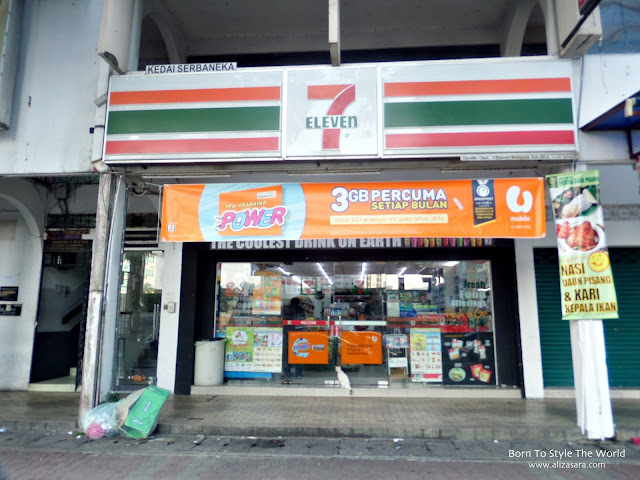 7Eleven in Bangsar // Across the streat from my office. On a hungry afternoon, where do you go to grab a fast bite ? I have to admit that I'm guilty for buying junk food most of the time, but today is a special day. Why? 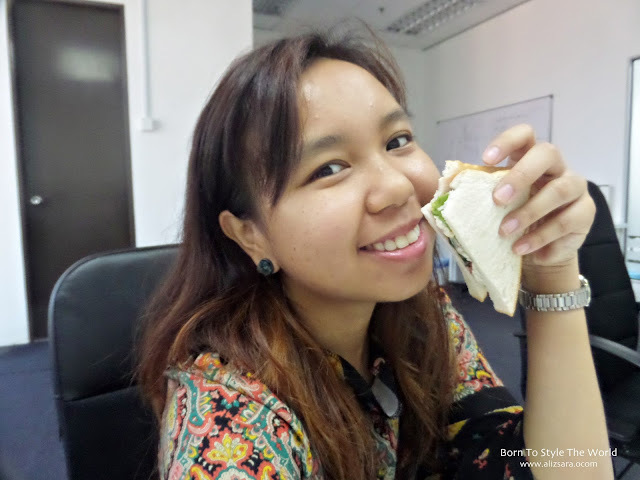 Because i have found an alternative of snacking while I work! 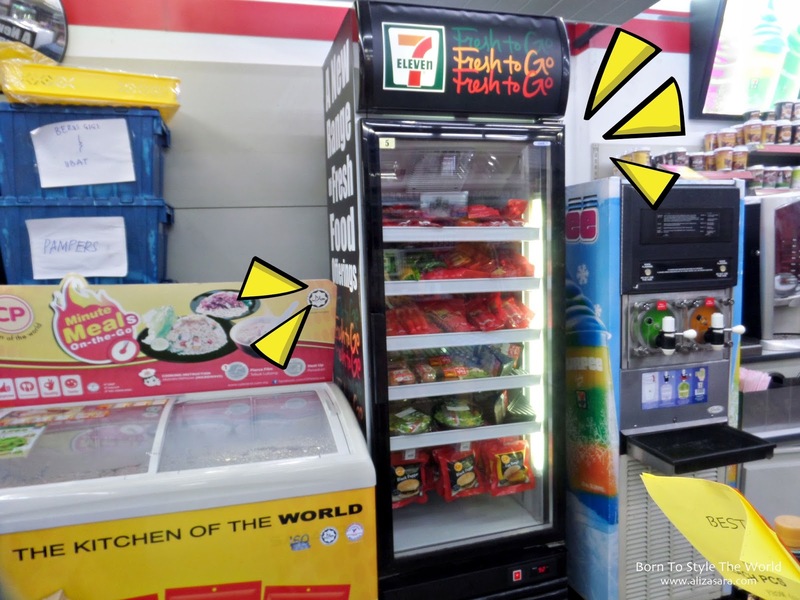 We all know how conveniently 7eleven is placed almost everywhere, so here's what they have in stores that I think the world should know! Tadaa! 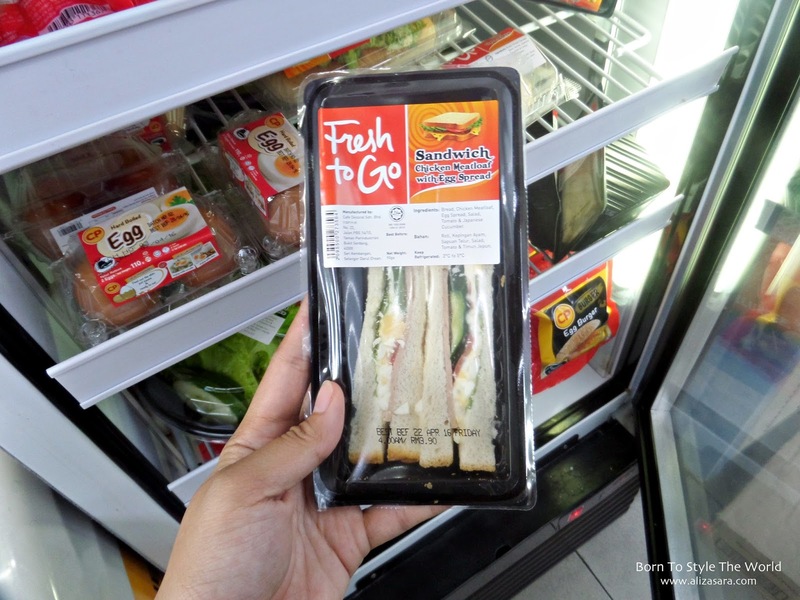 If I'm not mistaken, every 7Eleven will have a Fresh to Go Fridge, which to me would be like a treasure chest when it comes to fast (healthy) food. It's conveniently available at any 7Eleven, and it doesn't end just there! You will have options to choose from too! 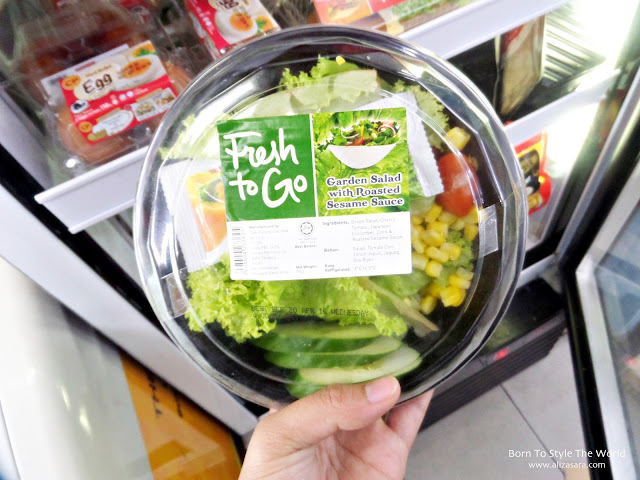 With this in stores, you can say bye bye to unhealthy junk food and snack on something healthier from the Fresh to Go range. Wondering what they have? Let's find out! Don't they look good?! If you think the options aren't that bad. Wait till I tell you the price! 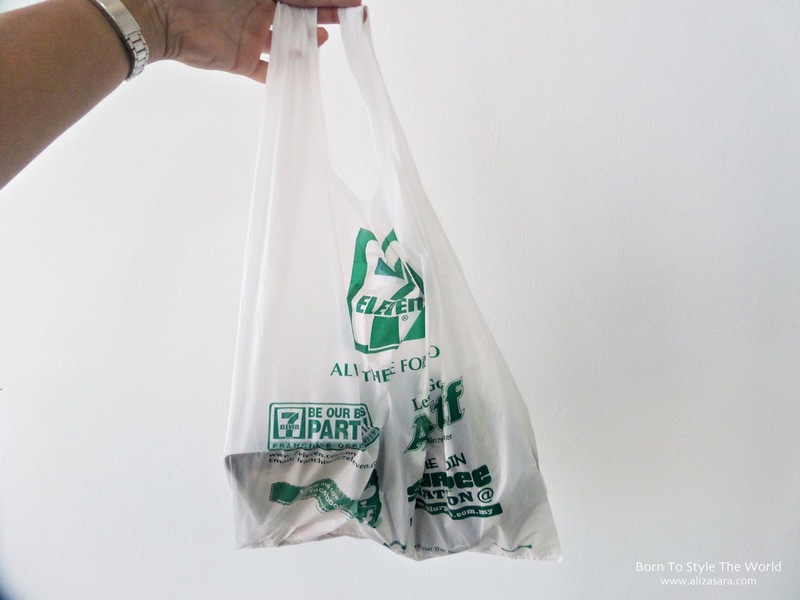 Each of the packs is currently priced at RM3.90 per pack. I think it's surprisingly reasonably priced, and it beats eating junk food that is processed. 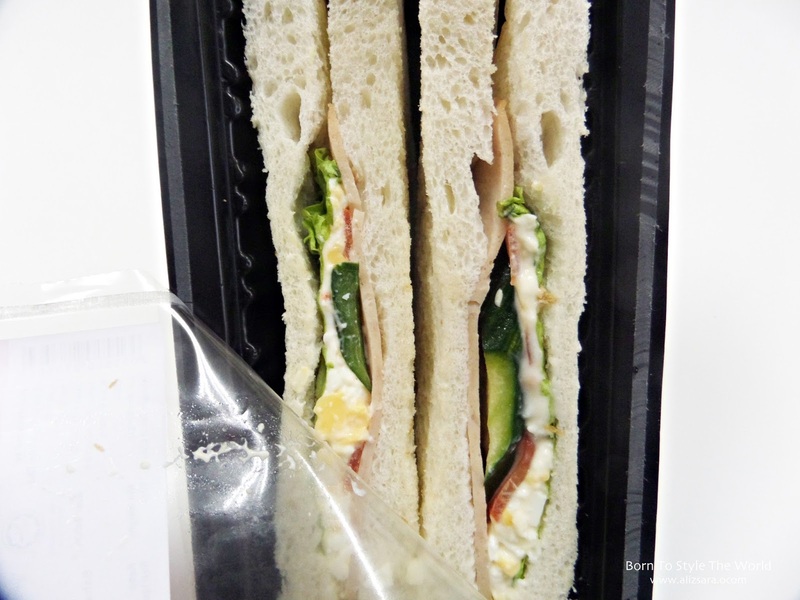 There pre-packed fresh to go snacks are freshly made every day so you don't have to worry about preservatives. 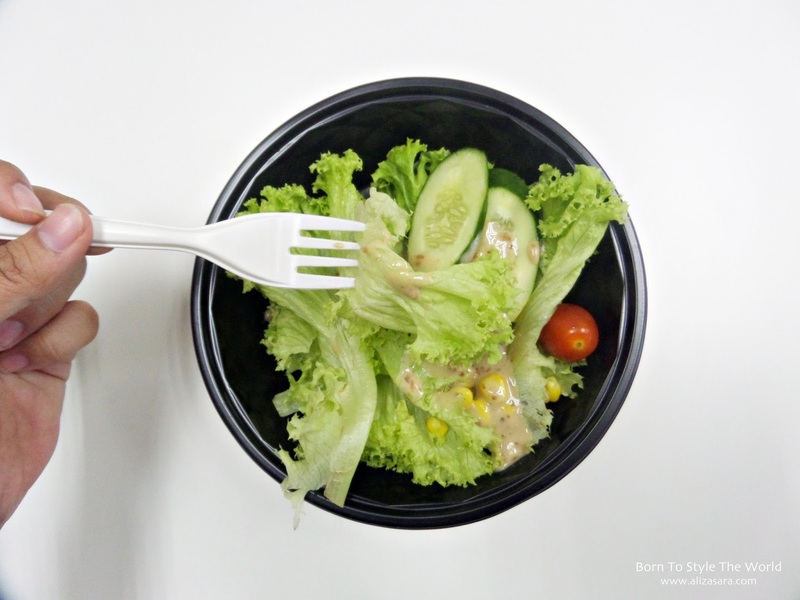 If you're in trend, you would know that the trend right now is to eat healthy and be fit right? And since I've been on a healthy lifestyle, this is actually a life saviour to me! With less than 5 minutes walk back to the office, can you guess what i decided to buy and munch on? And tadaa! I got myself the Garden Salad with Roasted Sesame Sauce and the Sandwich Chicken Meatloaf with Egg Spread. Yums! 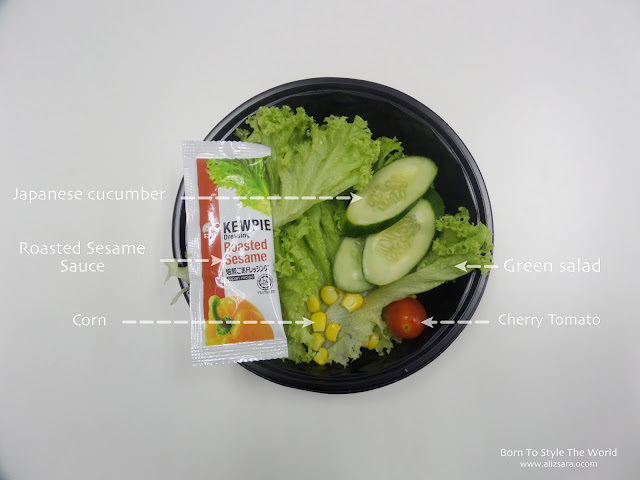 The total of these two items were surprisingly less than RM10, and to be more precise, it was priced at RM 7.80 for two Fresh To Go bites. Hehe. 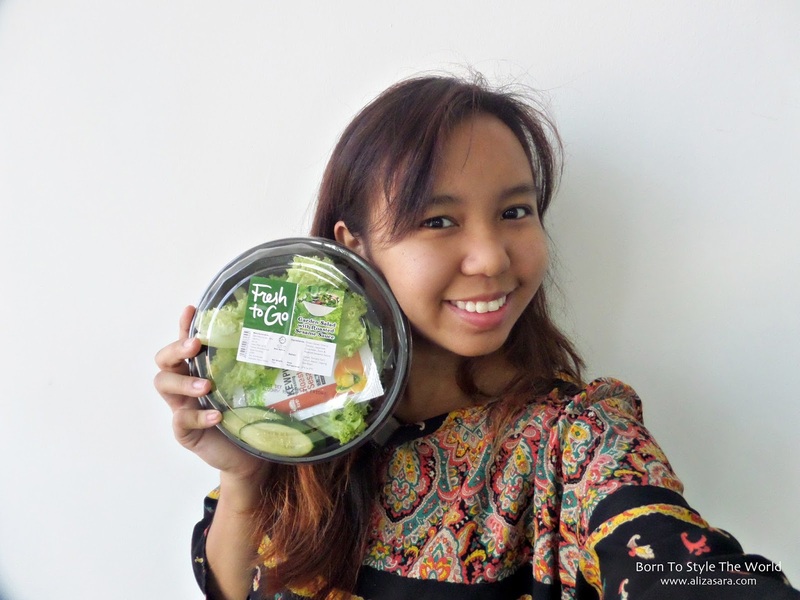 It's amazing cause I usually spend about RM12 on a bowl of salad, and thanks to Fresh To Go, I can actually eat healthily and save money at the same time! Pretty neat huh? Looks good for less than RM4 per bowl right?! The Garden Salad with Roasted Sesame Sauce contains Green Salad, Japanese Cucumber, Corn, Cherry Tomato and Roasted Sesame Sauce. Healthy and with only my favourite veggies in a bowl. Hehe. It definitely tasted very fresh, and i love how it comes with a disposable bowl for easy disposal when you're done with your Fresh To Go snack. Next, on today's snacking menu would be the Sandwich Chicken Meatloaf with Egg Spread. It contains Bread, Egg Spread, Chicken Meatloaf, Japanese Cucumber, Tomatoes and Bread Slices. I have to say that the proportion of the ingredients were well thought of and it actually tasted as good. I have to say that i absolutely love the idea. 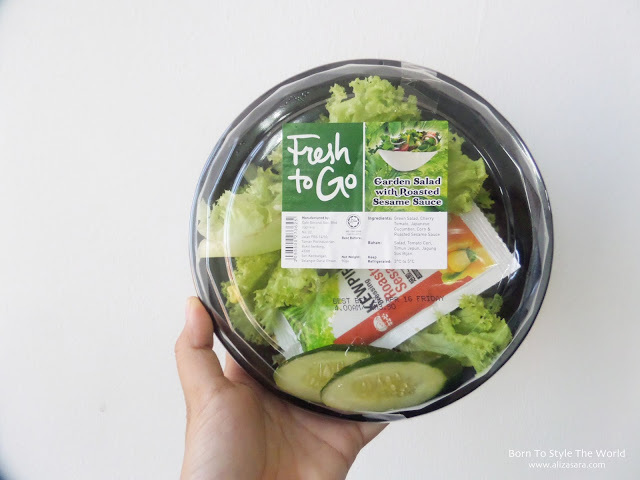 The Fresh To Go has successfully made healthy snacking possible and at the same time encouraging people to snack healthy with its incredibly reasonably priced fresh pre-packed food. Say no to junk food and say hello to the Fresh To Go snack to keep your tummy happy and healthy. Not to forget that it saves me time too! 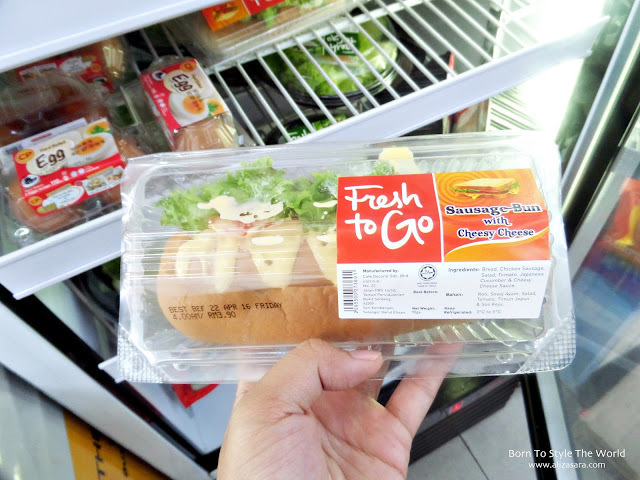 *giggles* For more details on the Fresh To Go range, visit http://www.7eleven.com.my/products. If you've tried it yourself, do share your thoughts on it with me too by leaving a comment below. Hey you guys, today I'm back again! This time, I'll be sharing to you my CubeCrate March 2016 box. And if you haven't heard about CubeCrate, its actually a mystery subscription where you pay an amount for a box filled with mysteries that you never knew existed! Since I love getting surprises, and trying out new things, this has been the ideal gift to reward myself monthly. Cause y'know, we all have to self-reward ourselves for working so hard at times. hehe. 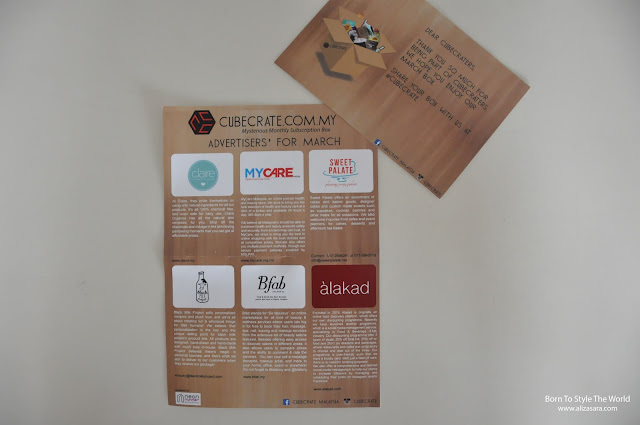 As usual, each CubeCrate comes with a small newsletter and a leaflet telling you who are your advertisers this month. So let's go through with what I've got this month. And look! 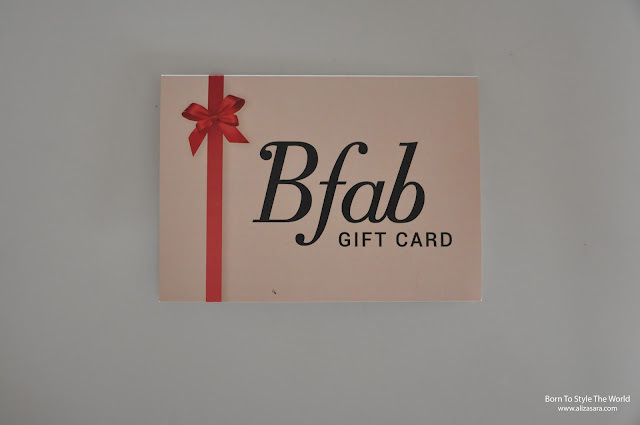 Got myself a giftcard worth RM30. SWEET! Managed to book myself a massage too! So apparently, CubeCrate introduced to me Bfab, and it's apparently a website that conveniently finds and books for you at the best beauty salons and spas in Kuala Lumpur Instantly. I managed to check out their site at www.bfab.my and I have to admit that the promotions are rather attractive to look at. And since CubeCrate gave me a RM30 Gift Card from Bfab, I say why not spend it before it expires! 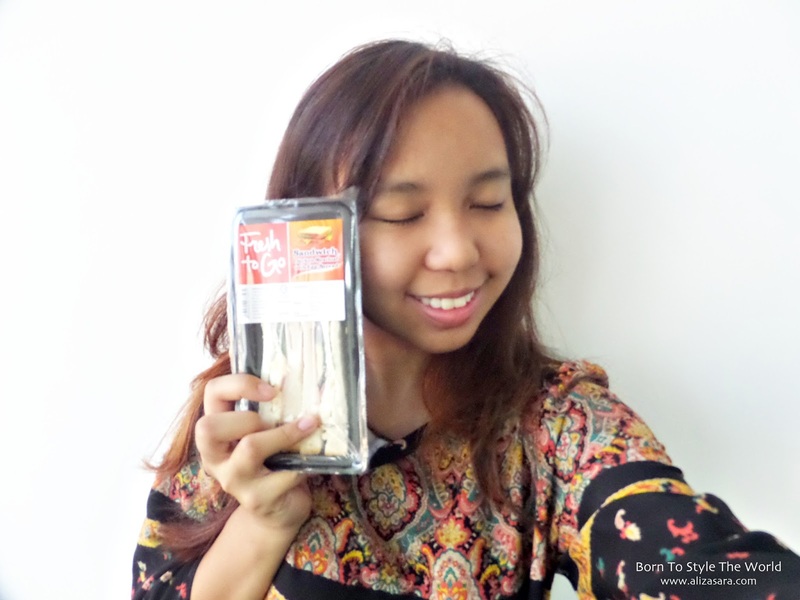 I managed to find a full body massage, priced at RM48 and after I minus out the RM30 Gift Card, I only had to pay RM18 in total! 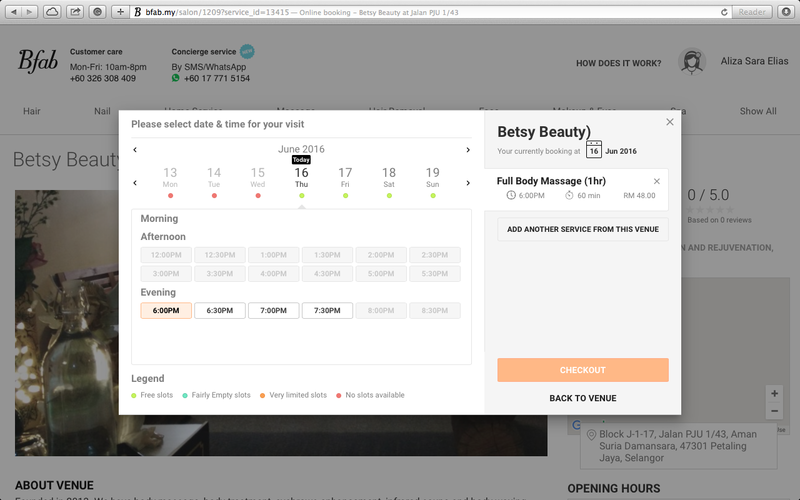 RM18 for an hour of body massage? I say why not! You can also check their site out since this is a new finding for me, and what I love most about Bfab it is that they give you the option to pay by cash when you arrive at the place. So you don't have to worry about making sure that you card has cash. 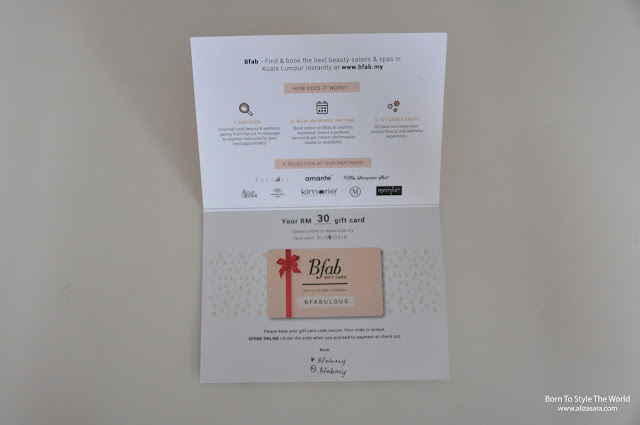 Yep, its a card tha give you benefits on discounts and 2 for 1 deals! 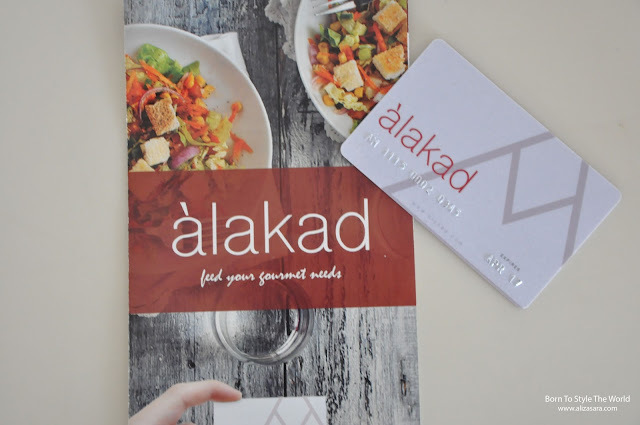 Next, would be that I got an Alakad card. I know what you're thinking, and I had the exact same question in my head. What is this Alakad card and what does it do? Well, after reading through the brochure, it says that feeds your gourmet needs. Whatever that means, in my understanding, it offers you discounts at places like thirty-two, Gloria Jeans Coffee, Grease Cheesesteak and more! I'd say that this card pretty much comes in handy when picking on places to hang out with your friends, family or even boyfriend and saves you money *wink* I really can't wait to get a chance to use this card, and start saving money as I eat out. YAS! 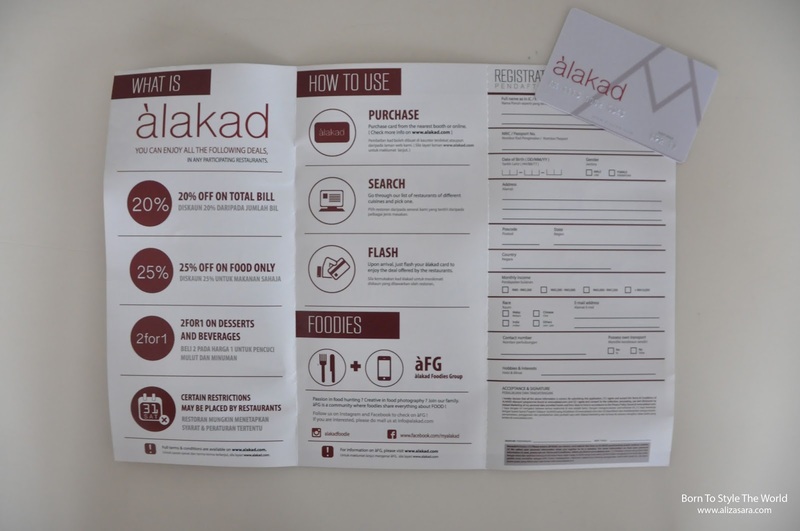 For more information on Alakad, you can head on over to www.alakad.com for more deets. 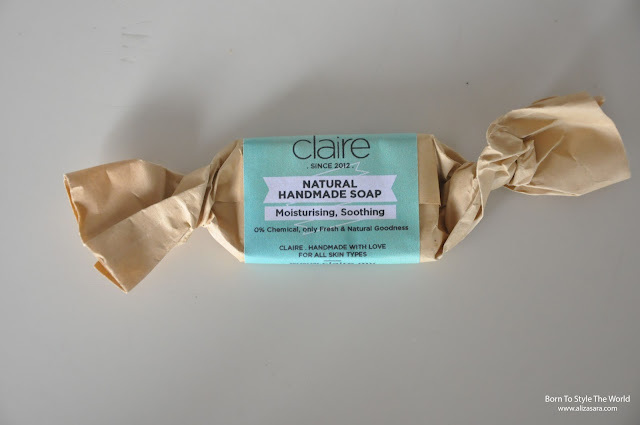 Handmade products from Claire anyone? Scored myself Natural Handmade soap from Claire. Check out their website at www.claire.my for more products that they have to offer. And the moment I saw that there's a Claire product in my CubeCrate box, I actually felt happy. 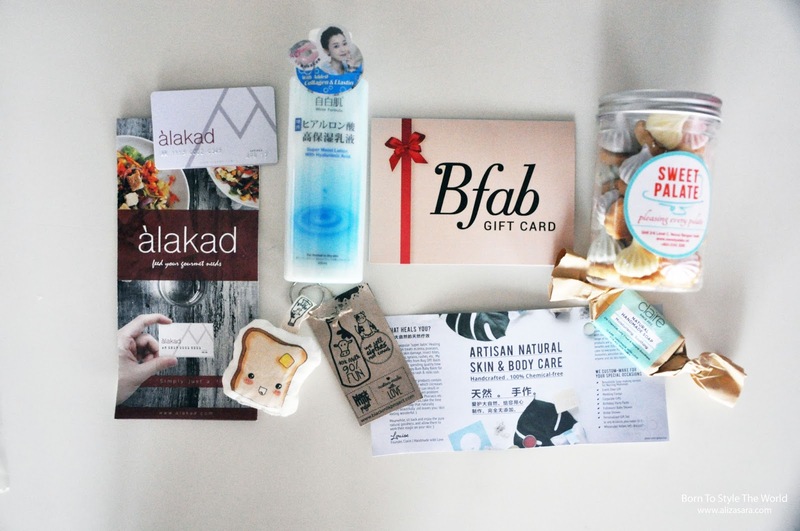 We all know that claire has been around since 2012, and has been very active with offline market bazaars (that's how I knew about them). But the main highlight is that it's a Malaysian product! 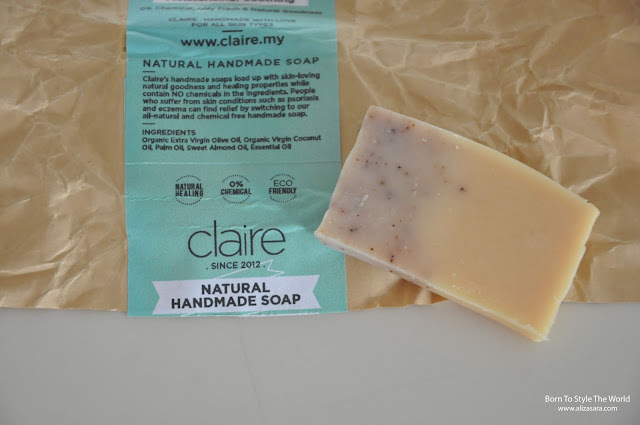 I believe in supporting home ground products, and I appreciate that CubeCrate has decided on focusing more on Malaysian based products. We need to support our own industry to build a better nation, yada yada yada. Haha. You get the drill. 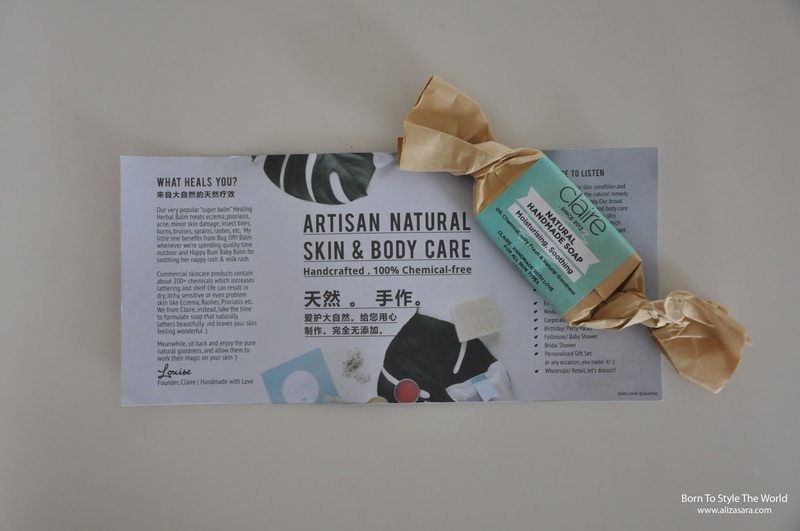 Since its a natural handmade soap, containing natural oils, I believe that this product is also suitable for all types of skin with healing properties. Sweet! Since its pretty compact, its also perfect to bring around during my travel. How can you not love the pastel colours?! Talking about sweet, check out what i got in my box! Who knew that CubeCrate would send over some sweet treats in it too? Sweet Palate sent over a whole pack of their Meringue Kisses, and gosh, it's like love at first bite. It tasted amazing if you ask me. And the best part is that I didn't have to hunt for these sweet treats. 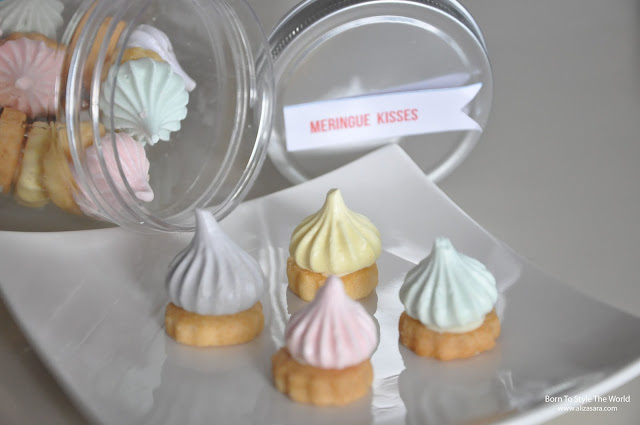 Apparently they also offer inquiries on their desserts and treat to suit for events too! So looks like I have an idea on where my cake this year is coming from. Woots. Because good things are meant to be shared, you can contact them at 012-2898281 or 017-8843718 for inquiries. 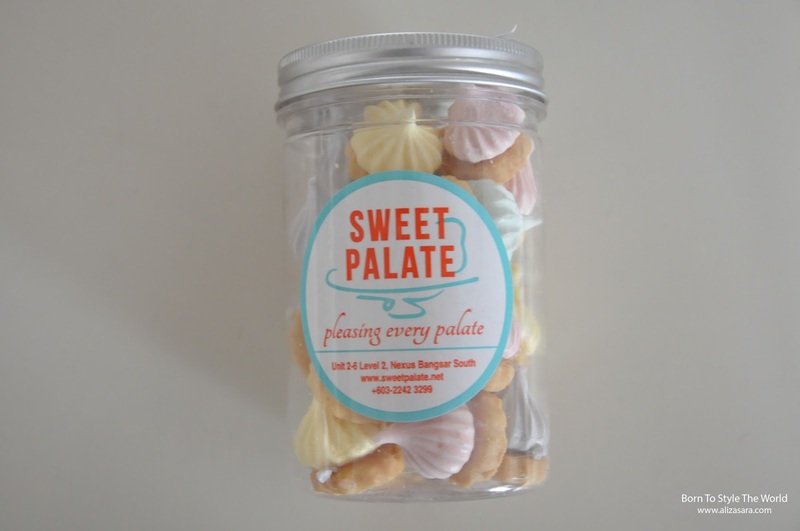 Alternatively, you can also email them at info@sweetpalate.net too. And check this out! I got a custom handmade keychain from Black Milk Project. 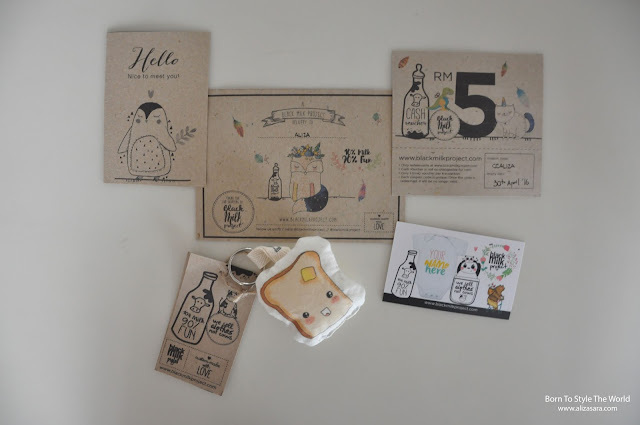 It's really sweet that it's handmade, and just look how cute my toast is? 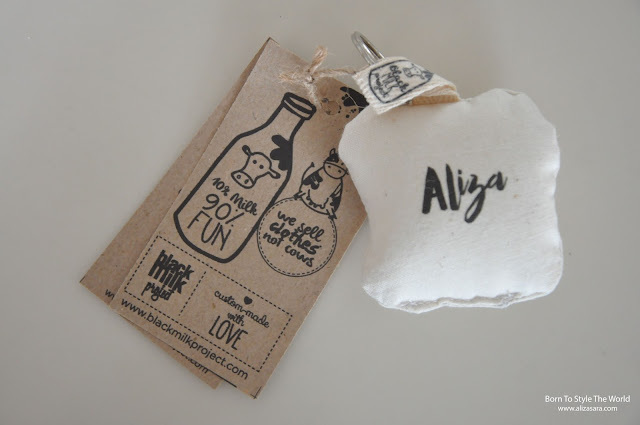 Keychains like this do come in handy when you need to find your keys in your bag. So looks like I'll be adding this to my keys, and on top of that, it has my name on it which makes it extra special. Thanks, Black Milk Project for the super adorable Keychain. I also got myself some vouchers to use, just in case I need an extra custom keychain for my friends too. Hehe. With collagen and elastin for an extra boost of youth! Non-sticky lotion y'alls! What is there not to love? Just in time! MyCare Malaysia included a bottle of Super Moist Lotion With Hyaluronic Acid in my CubeCrate box. 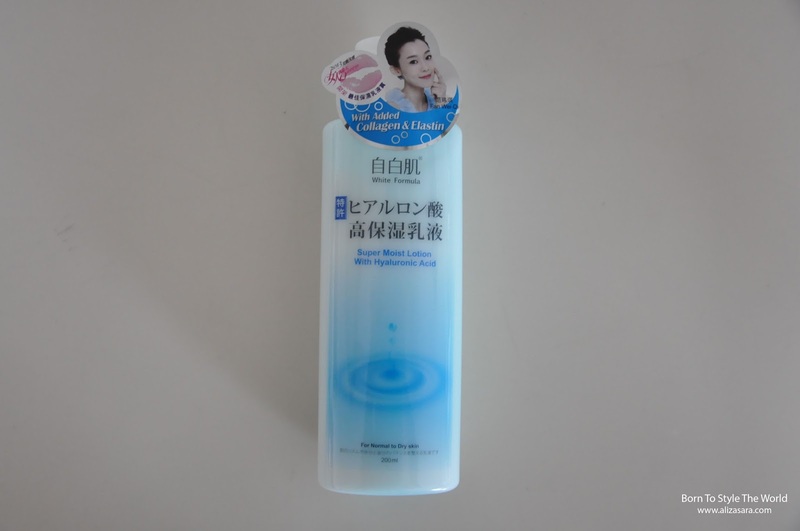 The description says that it contains 3 unique types of Hyaluronic Acid which permeate the different skin layers and works synergically to achieve optimum moisturization and skin firmness. And if you think this bottle looks familiar, it's because from my previous CubeCrate Box in February, I got myself the toner from the same brand. I've been using the toner for about a month now, and I actually see visible results on my skin. 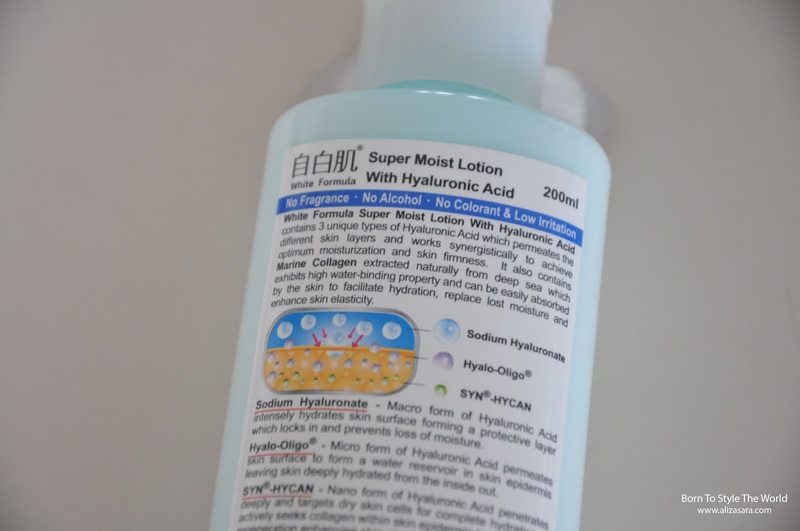 I wonder how good my skin will be with the Super Moist Lotion With Hyaluronic Acid being added into my skin regime? Woots!